Process chillers for every application from small ¼ ton hospital temperature controllers to 2000 ton Styrene chillers. 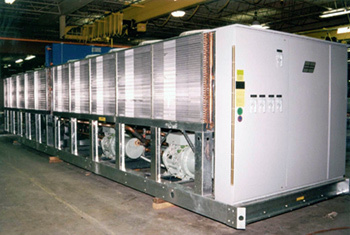 Air-cooled units are difficult to design due to the higher compression ratio and lower heat transfer efficiency. Many times cooling water is unavailable or expensive to deliver to the process site. Problem - Petrochemical producer needs -5° C chilled secondary glycol fluid for a number of processes where no cooling tower or make-up water exists. Solution - Designed low condensing temp air-cooled system that was lower in cost than piping chill water to the site.  Protective fin coating and large fin separation improved reliability by making cleaning more efficient and less frequent.